Jamaica is the land of Bob Marley and reggae music. A world wide sensation, Marley won a Grammy lifetime achievement award and his album Exodus was called the best album of the 20th century by Time Magazine. 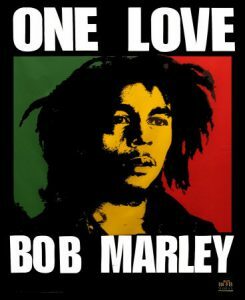 Many of his songs are familiar and “One Love” pops up every now and then in Jamaica travel commercials. Reggae is relatively new as far as Jamaican music goes, coming to prominence in the late 60s and 70s with artists such as Marley, Peter Tosh, Lee “Scratch” Perry, Jimmy Cliff and Bunny Wailer. Reggae is a fusion of earlier styles, including mento and rocksteady. The following video is of a song called ‘Sweet Jamaica’, by Josey Wales, Mr. Vegas, and Shaggy. The earliest Jamaican music was likely the music made by the maroons, African slaves who were freed and went to live in small towns in the interior of the island. After emancipation in 1838, some of the plantation owners secretly traded slaves of Angolan heritage. This later group of Africans called themselves the Bongo Nation and produced a style of music similar to that of the Maroon Nation, ‘nation’ being a name that the groups gave themselves. In the late 19th century, the mento, a folk-form dance came into existence. 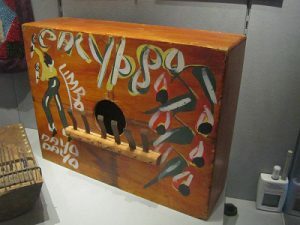 The mento used guitar, banjo, hand drums and a marímbula, or rumba box, which provided the bass part. 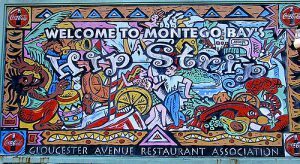 Using humor to deal with social issues, the mento was often confused with calypso, a style native to Trinidad and Tobago. By the mid 20th century, the styles had merged to a large extent. The Rastafarian movement, which originated in Jamaica, was also a big influence on Jamaica’s music. The religion combined Christian and African beliefs and was thought to number around 1 million adherents in the year 1997. 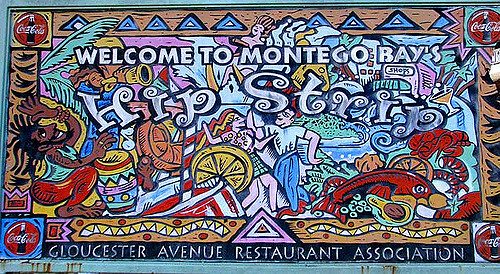 A variety of styles followed mento. 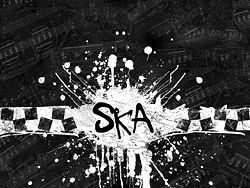 They include Ska, which originated in the 1950s, combining mento/calypso with American jazz and R & B and Rocksteady in the 1960s, which combined all of the above with other genres, such as African and Latin American drumming. Rocksteady is characterized by its offbeat staccato chords and a slower tempo. Then, of course reggae followed. It is perhaps the most popular form and artists from other countries, UB40-for example have adopted it. The following clip is ‘Jamaica fi Nice Again’ by St Matthew and Fiyahneer. Other artists that should be mentioned include Harry Belafonte, born in the USA, but who is of Jamaican heritage and lived on the island from age 5 to 13. Known as the ‘King of Calypso’, his songs, which are really mentos, achieved incredible success worldwide. In the 1950s, there was also a ‘Jamaican Jazz’ revival. Alto Saxophone player Joe Harriott and Pianists Monty Alexander and Yorke de Souza are just a few of the great jazz musicians to come from Jamaica. A visit to Jamaica promises ample opportunities to hear some great island music. Festivals such as the Jamaica Jazz and Blues Festival, which is scheduled to resume in Montego Bay in 2017 after taking a year off, The Reggae Sumfest, also in Montego Bay and Scheduled for July 16-22, and the Ocho Rios Jazz Festival, May 28 – June 4, are just a few of your choices. Jamaica’s colorful carnival, known on the island as Bacchanal, takes place April 15-23. And here we have ‘One Love’ by Bob Marley to finish off .